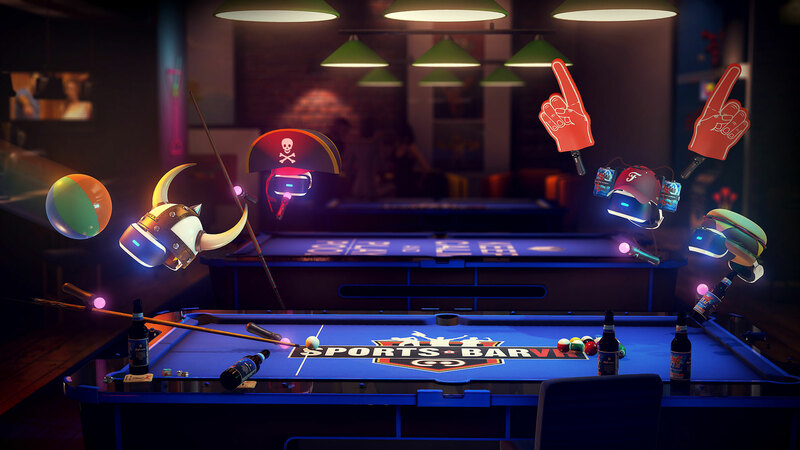 We're incredibly excited and proud to bring our biggest update ever to Pool Nation VR... to make it into a whole new game Sports Bar VR! This free update is absolutely full of new things to do with up to 6 players at once! 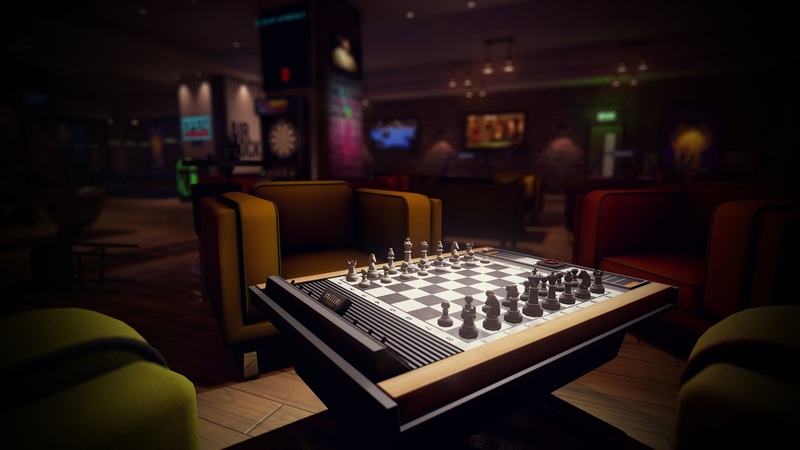 Bringing the virtual pub experience to your living room. 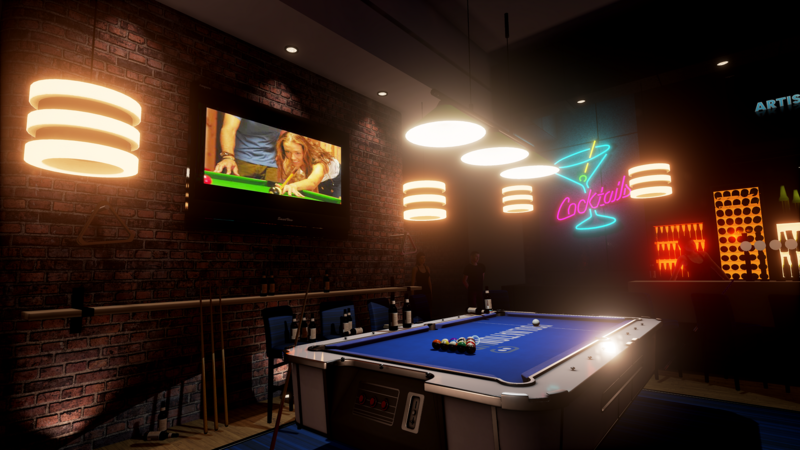 SportsBar VR is the ultimate social experience available in VR, featuring an awesome set of bar games and an incredible pool simulation including 8 Ball, 9 Ball, Killer and many more cue sports. 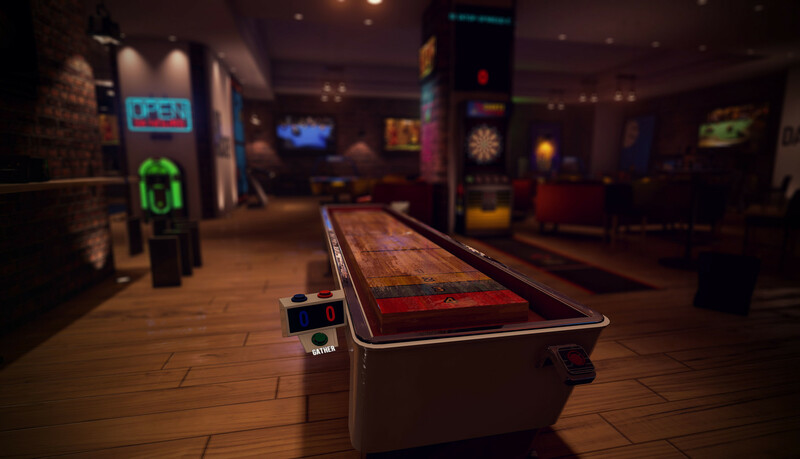 Join up with 6 of your friends as to hangout and play some air hockey, throw a few rounds of darts or build an insane dominoes setup using books, chairs and bottles. 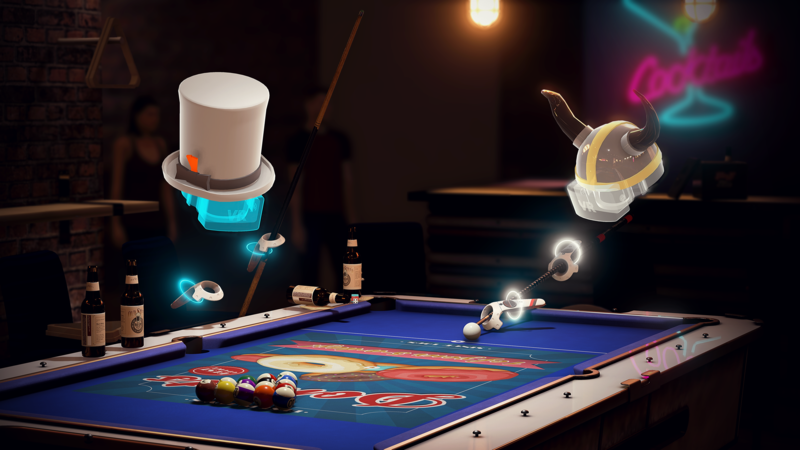 Play with friends or offline against the AI, earn experience points and unlock a wide array of collectible hats and fun objects to add a bit of swagger to your VR style. 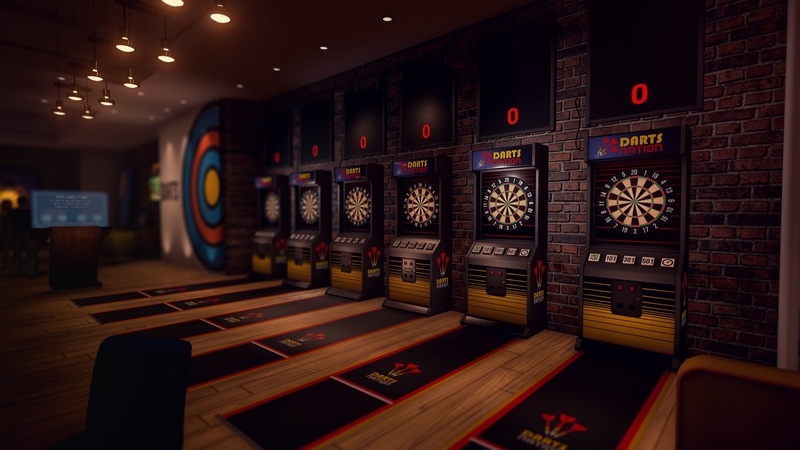 Whether you're a budding Ramp Ball champion, or its a serious game of pool you’re after or just want take part in the time-honored pastime of throwing empty beer bottles against the wall, there's no wrong way to hangout in SportsBar VR. 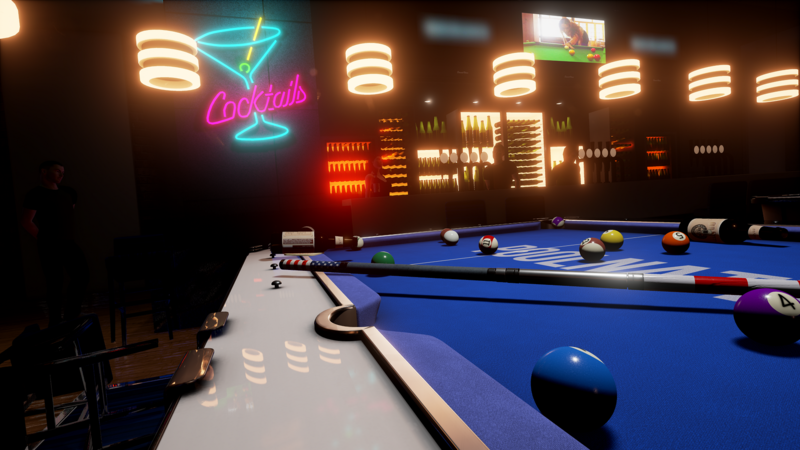 Play Real Pool - Delight your senses with an immersive and accurate representation of the sport using motion control and real pool physics (be careful not to lean on the table, it's not really there). Choose from several variations of pool with popular rule sets, or just hang out and hit some balls in free play. 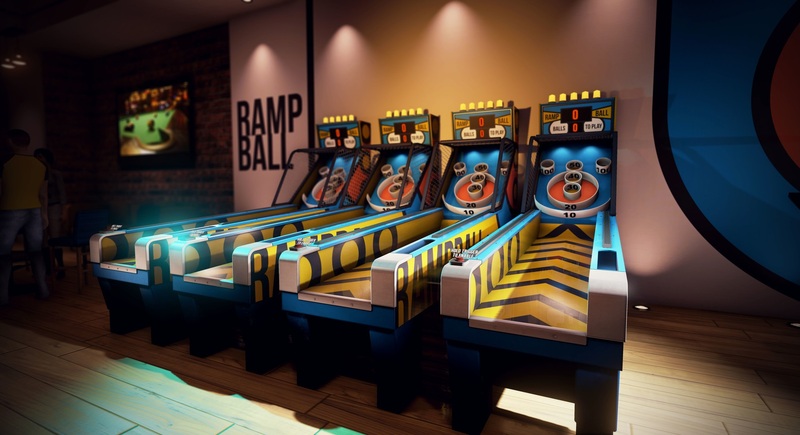 A full bar of fun - Play air hockey, rampball, chess, checkers, shuffleboard, extra toys + minigames, and competitive challenge modes with and against your friends. 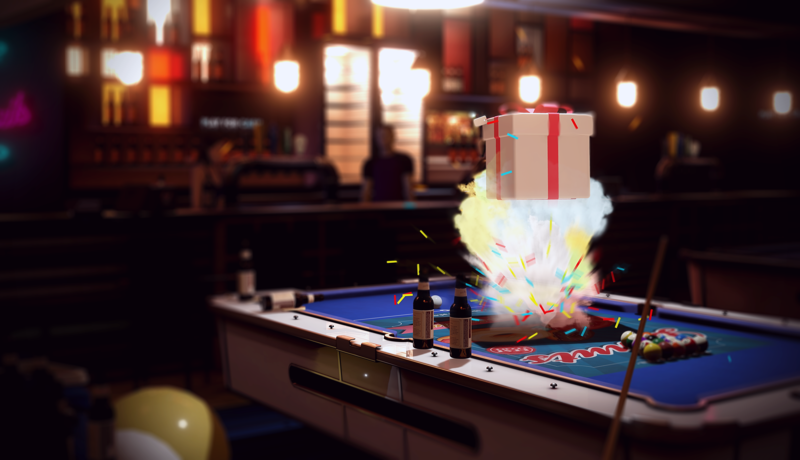 Online and Offline Opponents - Play against the AI or with up to 6 players globally Online, including voice chat so you can really talk some smack! Enjoying a bit of virtual rage and chair throwing without any repercussions? That has the markings of some serious success. 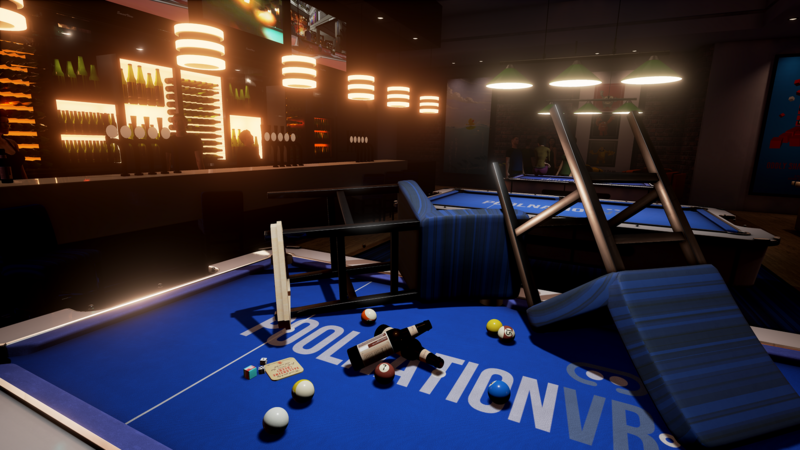 Pool Nation VR is simply an amazing game. 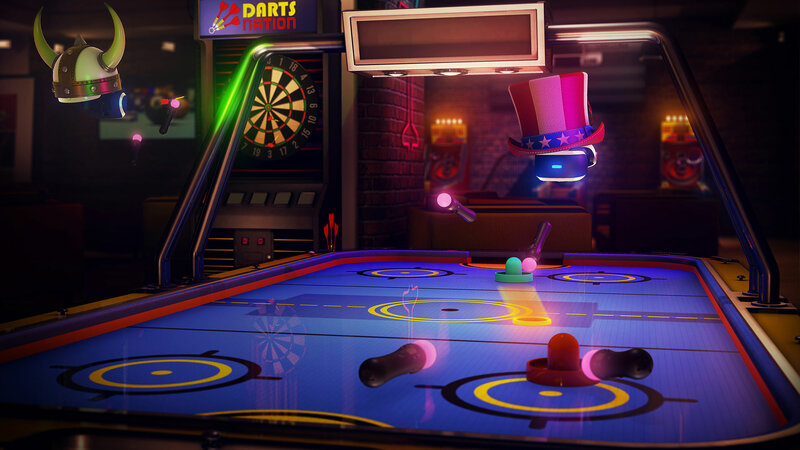 Pool Nation VR is one of the most complete and well presented videogames not just on the HTC Vive, but in modern VR as a whole. 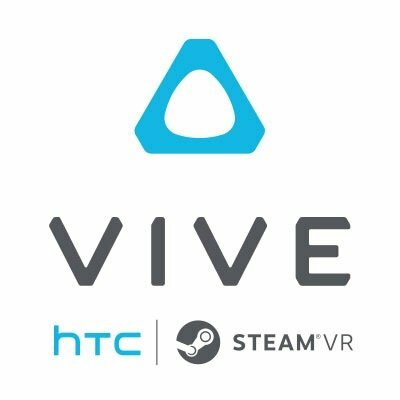 The Game that convinced me of the immersive qualities of the Vive. 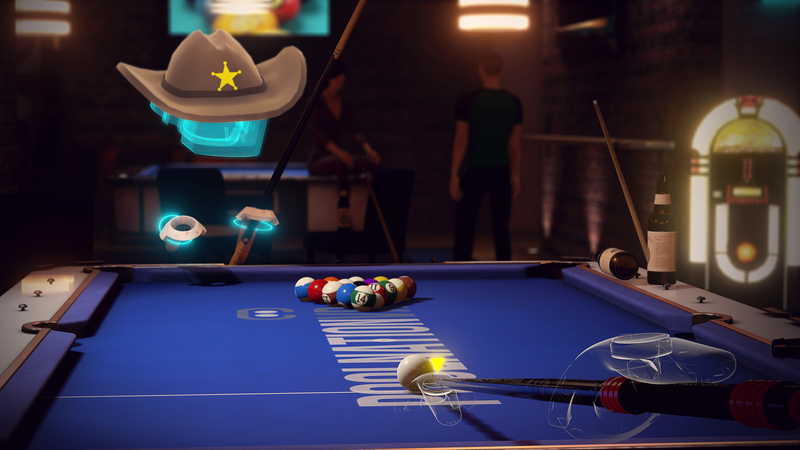 Show off your VR personality with all new hats, tables and cues! Inflatable dogs balloons? I bet that's something you never knew you needed in VR? For press enquiries please contact Tracie @ Reverb PR. Pool Nation, Cherry Pop Games All Rights Reserved.